​This is a book by an educator for educators. After teaching in public high schools for over twenty years, I have decided to try to give back. This work is the result. It is a thorough list of 365 tips for teachers who want to become better in every way, covering everything from discipline, relationships at school (teacher/student, teacher/teacher, teacher/administrator, and teacher/parent), wellness, mental health, and general success in an education career. I draw on what I’ve learned from my experiences (both positive and negative), my successes, my failures, and just plain common sense and logic. It took me a few years to compile this list and I feel like I can offer help for teachers over a variety of aspects of the teaching professions. My goal is simply that educators are better off for having read this book. ​Ever since the first schools opened their doors, teachers have struggled to find ways to successfully deal with misbehaving students. Many have found nothing but stress and frustration in their attempts to bring order to their classrooms. Unfortunately, this problem is not going away. As times and students change, teachers are finding that old methods of classroom management are no longer working.The time has come for teachers to learn a different style of classroom management. They can no longer rely on old strategies of anger and intimidation. Discipline Without Anger shows teachers how to successfully manage their classes so that they can be free to teach without having to become bullies to keep order.There are many potentially great teachers today who are teaching poorly (or not teaching at all) because of weaknesses or fears in the area of classroom management. As a result, our schools and students are paying a price. It is time that teachers learn how to successfully handle student misbehavior and finally reach their full potential. ​101 Discipline and Teacher Survival Tips - The original list! 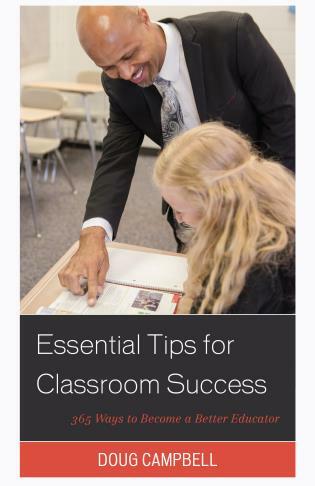 Before I wrote my book of 365 tips for educators, I did a blog series of 101 tips. If you want to see my original list of tips, please go to my old website at educator-tips.weebly.com.